By now the bus station was emptying out as other buses went home. 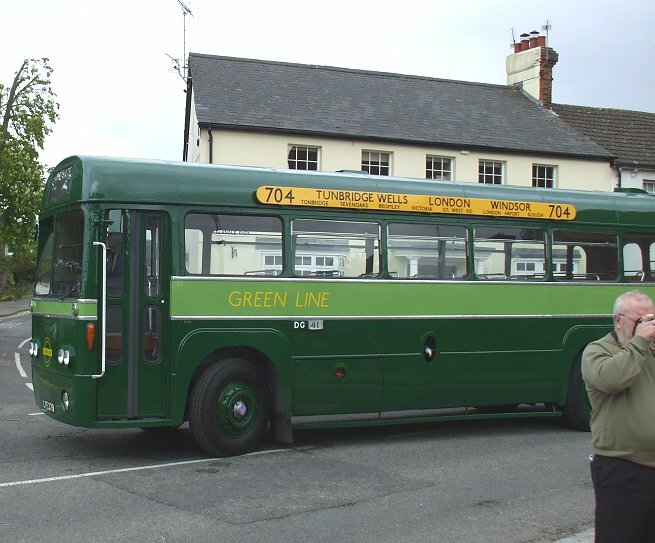 But there were still a few late runs: RF679 loaded up for a 431 journey up to Knockholt Pound. 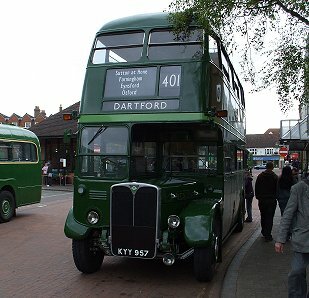 Down below the bus station proper rested RT3228, already set up with blinds for its homeward trip on the 401 to Dartford. 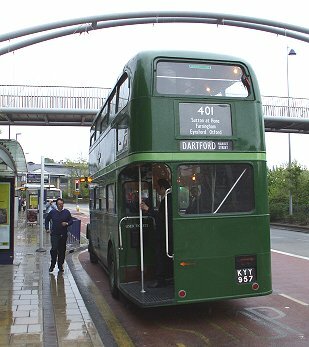 SNB449 eased out of the bus station to start its long journey home, squeezing between RF633 (waiting to ensure there were no late strandings), RT604 (waiting to form the 403 back to West Croydon), and RT3228. 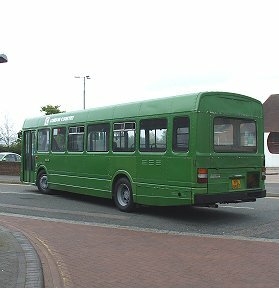 RF28 set off home too. 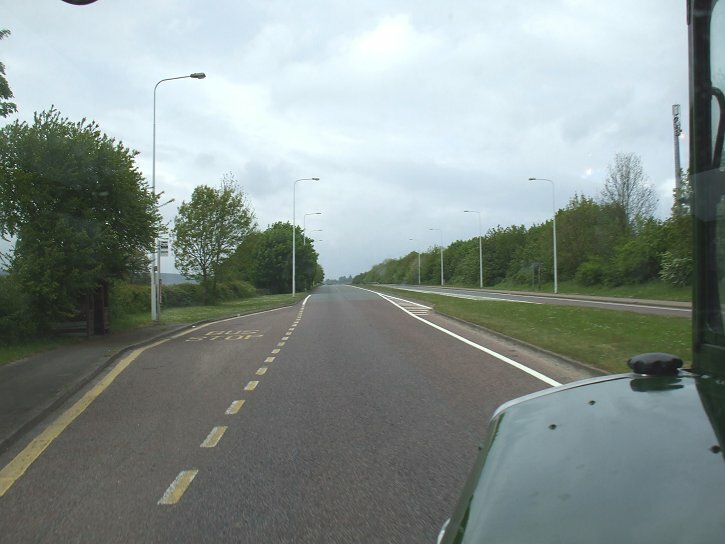 I checked with the crew on RT3228, and joined the bus. 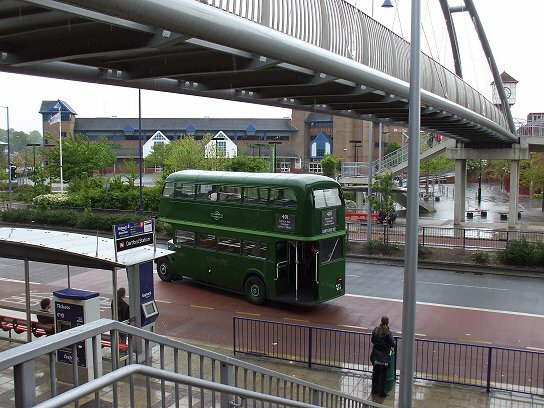 They decided to depart from where they were standing, rather than make a trip round to the now empty bus station, and made the call for passengers to join. At 1715 we were away, heading north on the now familiar route to Otford. 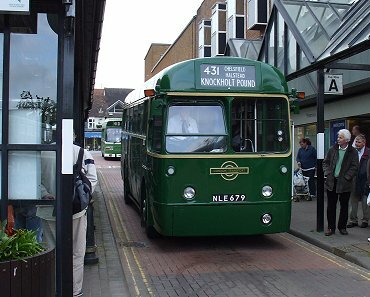 It was good to see the route again from the grandstand seat behind the bonnet of RT3228. 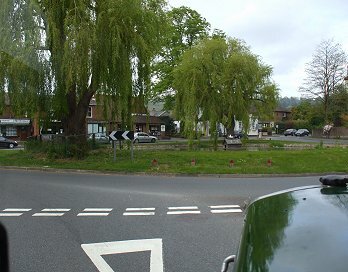 We circulated round Otford Pond and headed north in company with the railway to Eynsford Station Bridge. 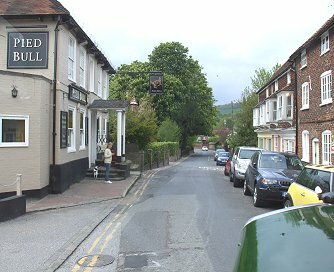 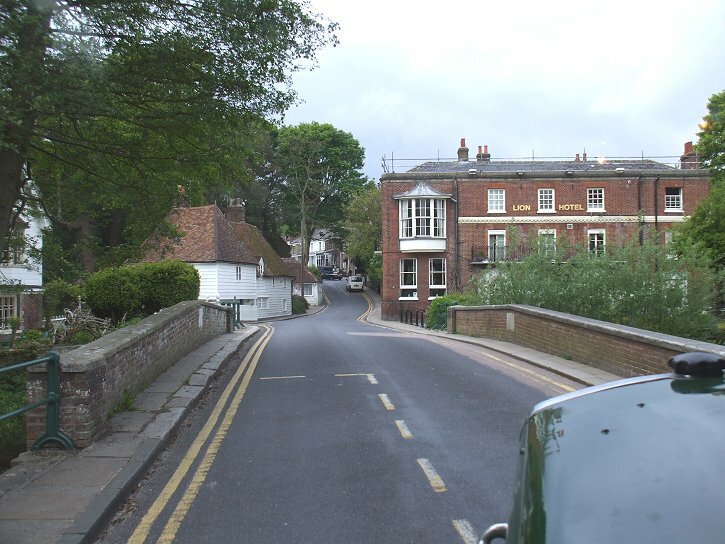 We continued through Eynsford, and on to Farningham, where we threaded our way down the street past the Pied Bull (the village timing point and terminus), and over the Darenth Bridge and up the High Street past the Lion Hotel. 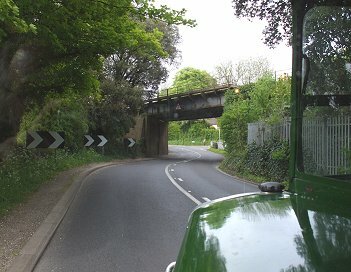 We crossed the A21 at the roundabout, and continued down-valley, under the main line viaduct at Farningham Road, and into Dartford. 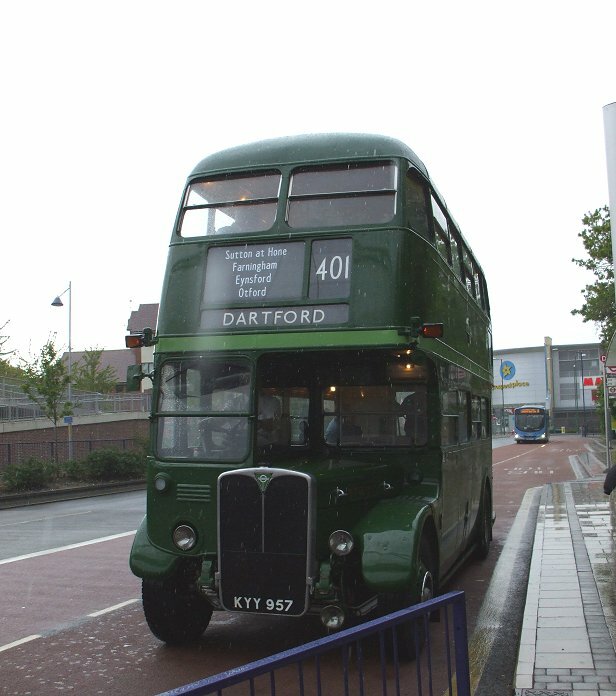 The rain, which had held off most of the day, now made itself felt, and considerably dampened the arrival at Market Street in Dartford. 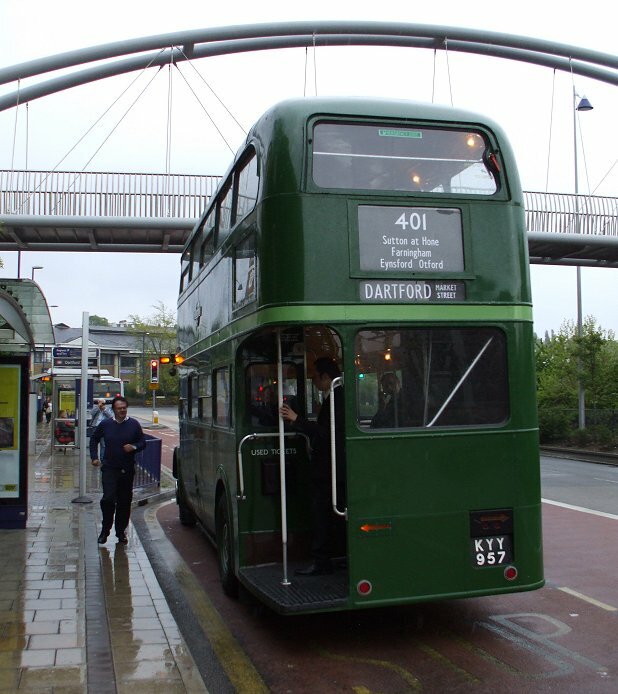 I headed up the steps to Dartford Station, and the RT pulled away under the pedestrian footbridge towards its base with The London Bus Company at Northfleet. 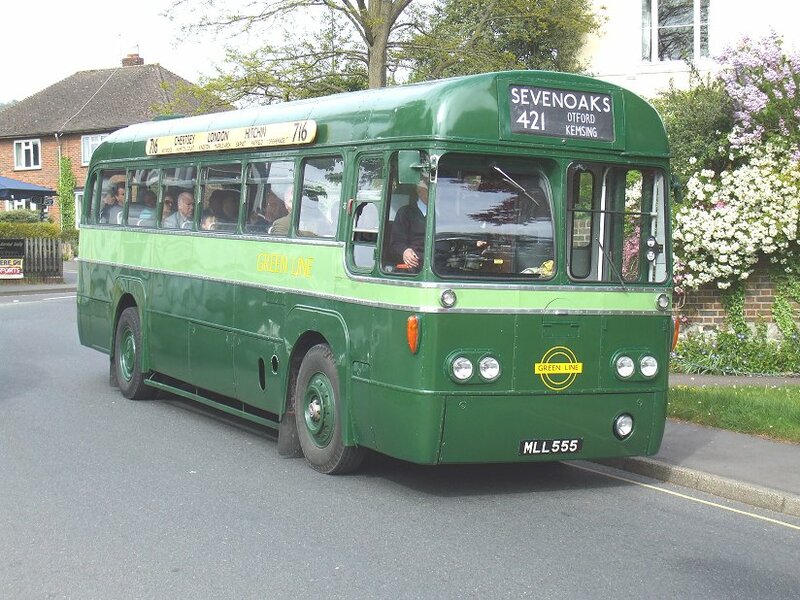 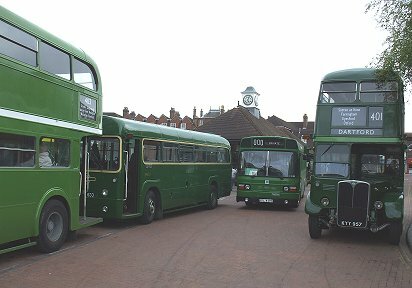 Many thanks to all those who brought us the Running Day: those who supplied buses or drove and conducted them; the planners who selected routes and obtained all the necessary permissions to run them; the timetable compilers and programme makers; those who sold programmes to help keep the wheels turning; those who forebore from driving their own buses in order to do the necessary job of supervising on the day.